Right upfront: This is not actually a ski review, it’s more of a story with a bit of commercial at the end. I’ve never written a ski review; I never wanted to. I don’t have the understanding of ski dynamics or the vocabulary to evaluate a ski in a way that would be useful to a knowledgeable skier. 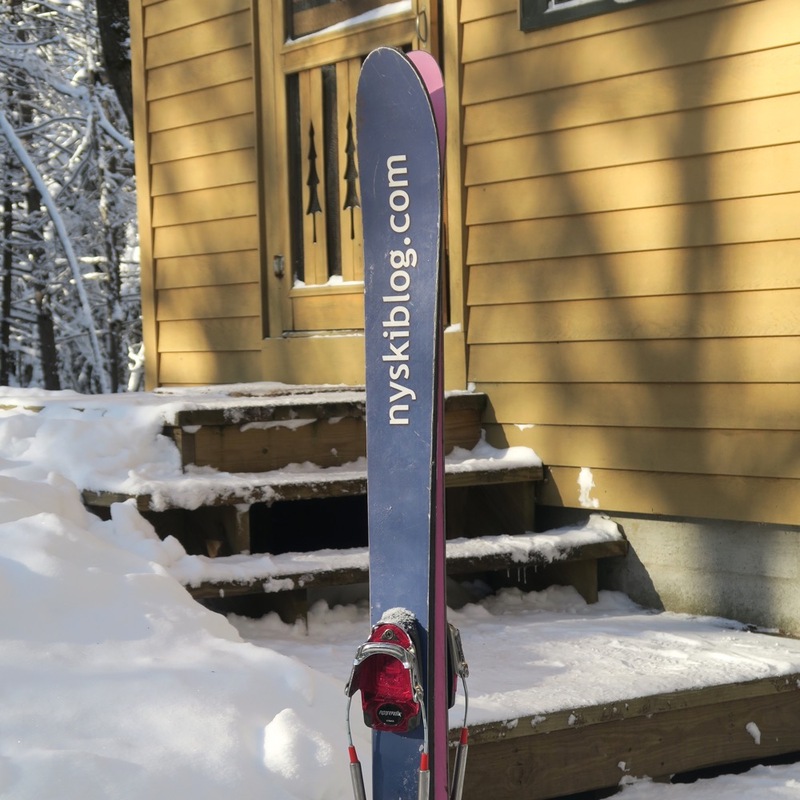 On the other hand, I like to write about things I love, and that includes my WhiteRoom Skis. I’ll review the process of working with WhiteRoom to design these skis and try to describe the ski, how it turns, and how it feels when I turn it. 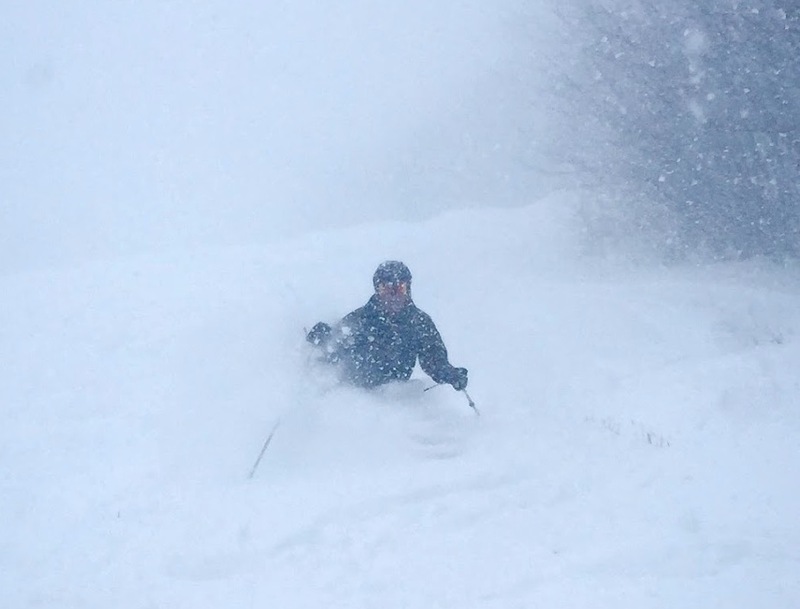 I first learned about WhiteRoom from the guys at Worth Skis in the spring of 2015. I had a pair of Worth Daily Breads that I loved and used as my daily driver. When Worth decided to cease production, they referred me to Vin Faraci of WhiteRoom Skis. I went to the website. The site had some good content but needed SEO. I called Vin and we talked. He’s a great guy and I liked him right away. We spent a couple of months working on a content strategy for the site. I taught Vin some of the basics of SEO. He started in a good place because his writing is naturally loaded with value for his audience. That’s the hard part. The rest is structural, and coincidently my professional specialty. Back on topic: by the end of the process I really wanted a pair of WhiteRooms. Vin agreed to help me design a pair. Obviously my requirements are somewhat in conflict and require a bit of a balancing act. 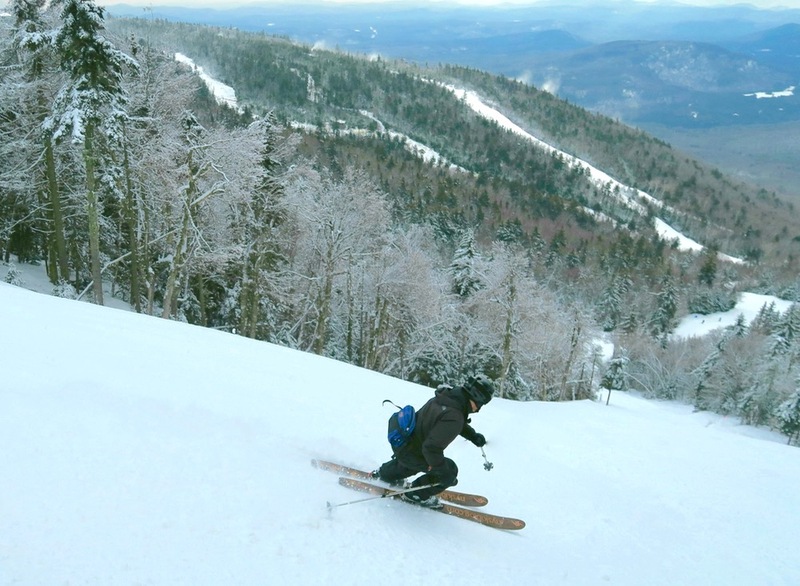 One thing to note: Like everyone, I’m after soft snow, but this year, I opened up my strike zone to include more of the Catskills, the Western Adirondacks and Southern Vermont. I seemed to be getting more great days this year. This matters because, to some extent, it lowers the bar on the requirements for a functional groomer ski. If it’s really firm, I’m probably not skiing. Vin and I went back and forth on the design. The thing I struggled with most was the turning radius. I had no idea what would be turny enough for me. It’s impossible to explain the difference between a 14 and 18 meter radius. Ultimately we chose a 97mm waist and a 17 meter turning radius. I left everything else to Vin. What we ended up with was a moderately cambered ski, 174 cm long with a rockered shovel and a more traditional tail. The cost to ship them was around 50 bucks, and I used that cost as justification for a future trip to pick up the skis from Vin’s shop and ski Smuggs. I’d look for incoming snow, drive to NoVT, and then take them to the best shop in town for a binding mount. Ah, the best laid plans. I went to my local Ski Barn for a mount and I set my sights on Smuggs. I drove to our cabin in the Adirondacks on Friday, and woke at 4am on Saturday morning to drive north, to meet Vin for first chair. A marginal forecast turned to snow, and we were looking at 10 inches of new when we arrived at Lot 1 around 7:30am. The skiing was excellent, dense but consistent snow. On April 8 at Smuggs the trees were wide open and the base was deep. I definitely felt it was easier to keep my tips up, and I didn’t go over the handlebars much, if at all. I wasn’t really surprised; I was expecting it from a VT ski maker with Vin’s cred. The real surprise was to come the next day in very different conditions. At the end of that great pow day I drove south, back to our place in the Southern Adirondacks. On Sunday, I skied Gore in sunny corn conditions. I was stunned by my ability to initiate turns and lay trenches in groomed and cutup snow. I was not expecting to be able to put these skis on edge and rail. They have a lot of tip rocker, and in the corn, I began to pressure my boot tongue to engage more of the full length of the ski. I drove home very happy on my last day of the ’16-17 season. This season was divided into at least three distinct parts in New York. There was a lot of cold air and some good skiing in December and into January, but not too much snow. February had limited cold, several warmups and rain. Most of our turns to that point were on groomers. I spent much of that time concentrating on the connection between my shins and my boots. In mid-January, I met Icecoastchef and John for the first time at Gore. Rumor had been groomed out and we hit it early. John dove in without much of a thought and I followed, a bit gripped but determined to charge. By the bottom of the run I knew that I could turn these skis on anything that wasn’t truly shiny. I didn’t ski that much in February but got back in the game in a big way in March. One of my all-time best days was at Plattekill during Winter Storm Riley. By late morning the snow was piled deep and it was much lighter than forecast. This was the first time I’d exercised real control in snow that deep. I’d now seen how these skis performed on hardpacked groomers and in deep pow. The following week I had a big after-storm day at Magic that included a bit of everything: pow, bumps and groomers. Some of the best skiing that day was in the bumps, on piste. Granted my adrenaline was off the charts; I was skiing a new mountain with good skiers in incredible conditions. I skied most of the day in big bumps, without really running out of gas. This season I had two skiers that I respect tell me I’ve upped my game by a surprising amount. I do feel more confident, like I am attacking the fall line more directly. While it’s possible that after years of struggling, I’m finally getting it, I believe there is more going on. Something has changed. This is my first ski with significant tip rocker and that has surely helped in a variety of conditions. I’m convinced the overall dimensions, a more traditional tail, and my own adjustments to the tip rocker have helped my groomer skiing. But how do you improve floatation on a “groomer ski” while maintaining a reasonably short turning radius? I think the answer is the 5-point sidecut. As mentioned, my technical knowledge of skis is minimal. The magic was provided by Vin. He listened to me and translated vaguely articulated needs into specific ski specs. Then he built those specs into a durable, beautiful pair of skis that suits me well. It’s now my opinion, that matching skier, terrain preference and ski is key. 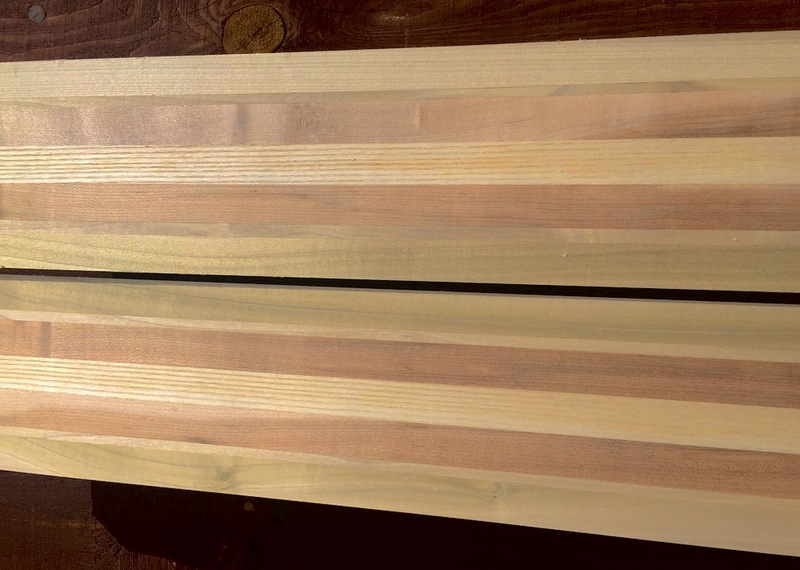 If you’re John Tidd, you know exactly what you want and you find a great ski builder to put it together. But if you’re me, getting the right design isn’t a simple matter. Vin helped me do this, and there was much back and forth. This consultation was all included and he was patient with my lack of understanding of the basics of ski construction. • On groomers if I can cut into the surface even a 1/4 inch I can turn them, and anything over an inch is blast. It’s very easy to initiate turns on anything groomed. The 44s are surprisingly torsionally rigid. • In deep pow — like any all around ski — they aren’t quite wide enough to keep me on top. But the tip is supple enough that I can ski just below the surface, and it is really really fun. In pow trees, I’m getting my tips up and around obstacles and stringing more turns together. • The bumps are the real rub. I got better in the bumps this year and I think both skis and skier deserve credit. With a 97mm waist they aren’t super turny, but turny enough, and they are light. I was definitely able to ski hard, longer this year. The Model 44s were about a thousand dollars, and that is a lot of money. For me, looking at the math, it’s not too much when I compare the joy generated to my total investment in skiing. Each season, many days have the potential to be great, the question is… can I get to the snow and do I have the skills and gear to ski it? Now I’m much more confident that the answer is yes. This is the time of year when WhiteRoom takes orders for next season. If you can’t find what you want off the shelf from a big brand and are looking for a light, well-built, custom ski, consider contacting Vin. And if you are curious to know if custom skis could make skiing more fun for you, I’d also recommend you contact Vin to see what he thinks. Those are definately some beautiful skis, Harv. Seems like they bullseyed what you wanted exactly. Great pics too, especially that one from Plattekill! What a great story, Harv. A grand is nothing for that kind of ski love. ^^That’s kind of the point. It’s well known the rocker shortens the running length of a ski. We’ve known this since Jason Levinthal introduced the twin tip a couple decades ago. 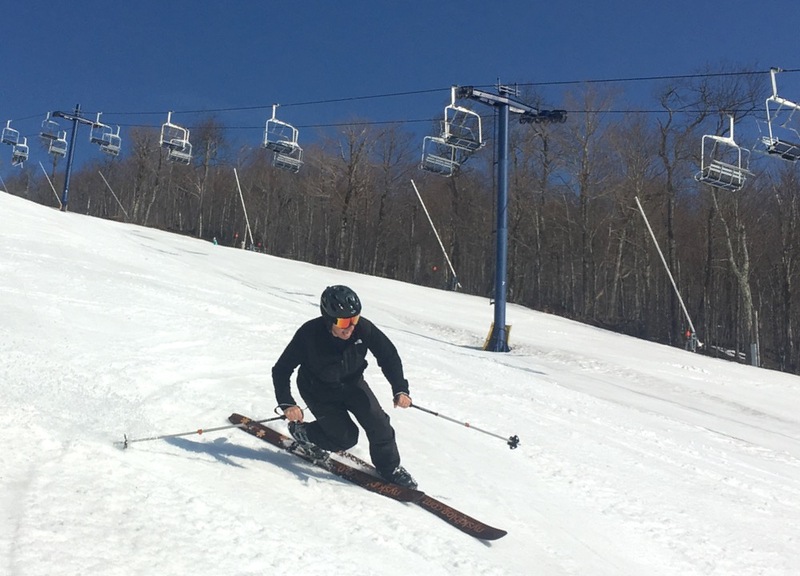 The “magic” of this design is that this type of rocker creates a shorter, easier turning ski on groomers by bringing the contact points in toward the foot just a bit. Then when you are “in” snow instead of “on” snow you get the full surface are of the ski in contact with the snow improving float with the big rockered shovel bring your ski up to the surface. All of these things were necessary compromises to give Harv the ski he was looking for…a ski that was easy to turn on groomers and in the trees, did not tire out his legs so much, and gave him some float in powder. 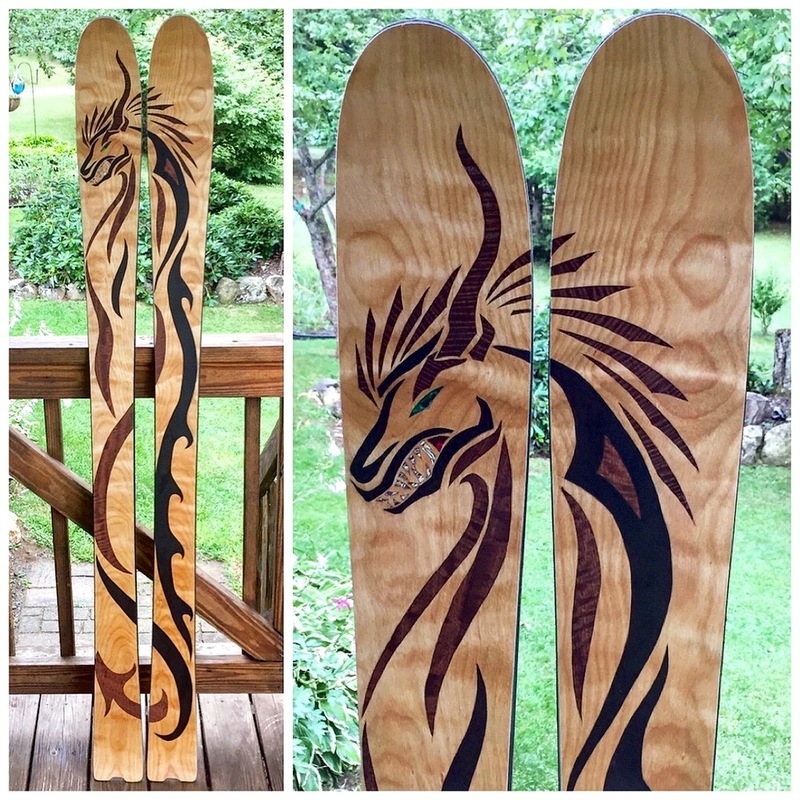 To each his own, that is the beauty of having so many cool ski designs on the market. Harv’s ski may not fit you, your skiing style or your opinion of what an alpine ski needs to be, but that’s kind of the point of a custom ski. It was also never implied, claimed, meant to be or designed to be a pure carving ski, quite the opposite. I added the tail rocker and reverse sidecut in the tail to allow the tele turn to release easier or as you put it skid, In this point you are correct. As far as its alpine capability, it really depends on what you are calling alpine. But In my opinion it would ski just fine in trees, powder, corn and mixed conditions with an alpine binding on it. If you are defining alpine as carving perfectly spaced arcs with perfect PSIA form on flat snow with skinny skis then, no this would not perform well. Harv, it sounds like the partnership created exactly what you were looking for on snow in the form of some stunning boards. Hope to see them in action sometime soon. I never imagined that skis could make this much of a difference in my enjoyment of the sport. I’m guessing another manufacturer could build a ski with similar specs. What I value the most is the time Vin spent listening to me and then applying his knowledge to help me get what I was looking for. Z your comments confuse me. You seem to be saying that the fact that these skis work well for me is beside the point and I should be seeking out a ski that does well in generic testing for an average alpine skier onpiste. I may not be knowledgeable about ski design, but this crappy old teleskier knows when he is having fun. I think WR guy and I both agree he succeed in making a ski apthat is easy to twist though that makes for a really crappy Eastern alpine ski. Sure he can post reviews from out West where holding and edge is not of concern. I’m sure these are fine tele skis and bully for you that they make you have fun. I think WR guys Point is it’s a what you wanted. My point has been for awhile on the forum is guys are skiing on way too wide of skis for eastern conditions to not have it affect how they have to adapt thier skill blends. 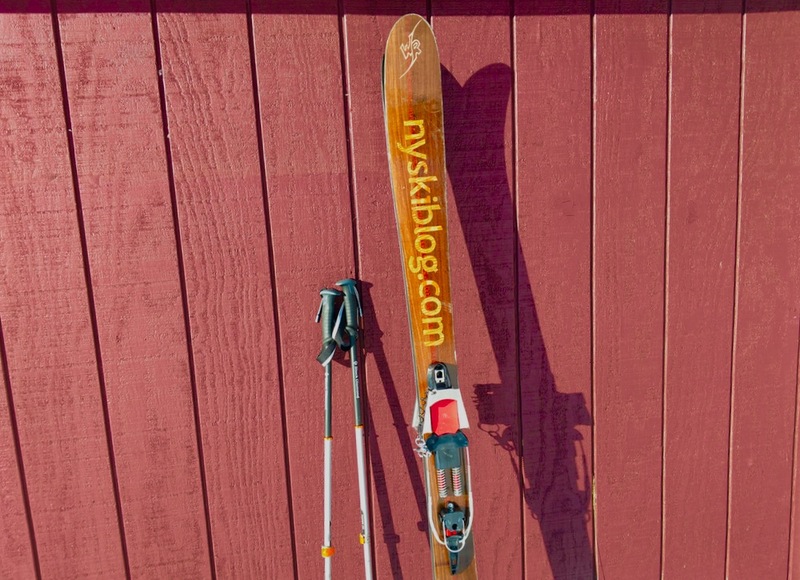 Now you add in unusual ski profiles like this which would make the ski have exceptionally short running edge length unless you are skiing in compactable snow and buyer beware as this would be way too short compared to other ski designs of a similar length. This is pretty funny. Zzzzz you’re not the sharpest knife in the drawer huh.